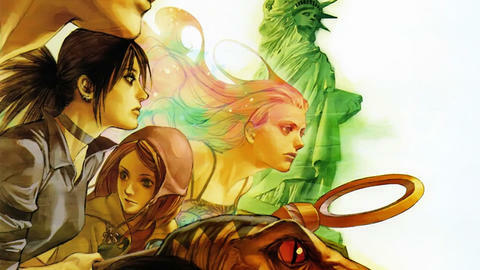 Joss Whedon and Michael Ryan send the Runaways back to NYC...and back in time! 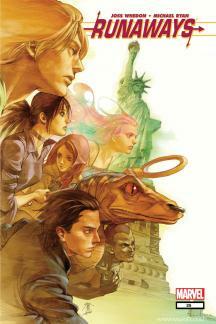 Before Rainbow Rowell and Kris Anka’s RUNAWAYS launches in September, take a look at all of their major adventures as seen on Marvel Unlimited! 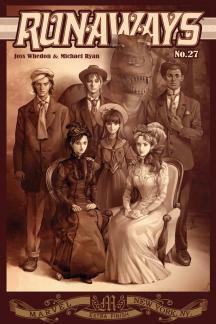 When series creators Brian K. Vaughan and Adrian Alphona announced they planned to leave RUNAWAYS with #24, fans clamored to find out who could possibly replace them. The answer soon came forth, surprising many: Joss Whedon and Michael Ryan. Readers will remember that BKV and Alphona left the kids in a precarious position as they left, facing off against Iron Man and armored S.H.I.E.L.D. agents in the Hostel. As Whedon picked the story up, the kids sat in a fancy New York City restaurant waiting to meet with The Kingpin! Playing off of Wilson Fisk’s respect for their parents, the kids agreed to do a favor for the Kingpin of Crime in exchange for room and board that would allow them to stay below the radar in a post-Civil War Big Apple. That favor involved breaking into a secure location to steal a device that Chase’s parents actually built. 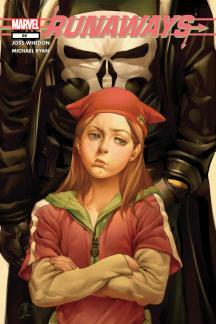 In the process, they attracted the attention of the Punisher who didn’t take kindly to the Kingpin using children for crime. Eventually, the kids decided to take the device and run, but Fisk figured on this move and revealed that he’d been hired to make all of this happen by an old woman and her giant, winged assistant Tristan. In making their escape, the Runaways hooked the object to Leapfrog and wound up back in 1907! 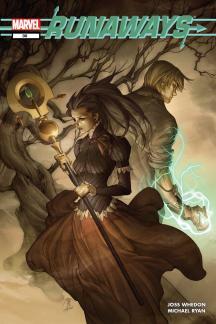 While there, they met a number of other young people with powers – dubbed Wonders back then – including a young girl named Klara with power over plants. And that’s not even mentioning the likes of The Sinners, the Mineola, the Merchant’s Trust and the Upward Path all of whom the Runaways get tangled up with in their search for a way home. None of them actually hold a candle to the nova of surprise that came when Chase and Xavin met Gert’s time-traveling parents, the Yorkes, also working in the same era! All of these elements bubble to a full-on boil as they explode into a street war. Thanks to some time-travel shenanigans on Chase’s part and Nico getting a power upgrade thanks to her great grandmother, the kids made their way back home with Klara in tow, but not Victor’s new flame Lillie because she had to stick around in order to hire Kingpin to get them to steal the device in the first place! Before returning to Los Angeles, the kids stuck around New York City to give Klara a chance to say goodbye to her home as seen in SECRET INVASION: RUNAWAYS/YOUNG AVENGERS #1-3. That leads to another meeting between the Runaways and their Young Avengers counterparts as the Skrulls lead into their full-on invasion thanks to both teams playing home to Skrulls in Xavin and Hulkling. That leads to more than one conflict with various green-skinned aliens, but ultimately a win for both squads at the end. 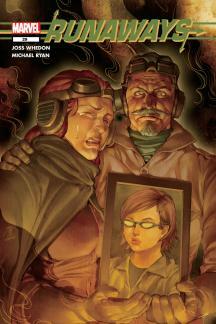 Terry Moore and Humberto Ramos launch a brand new volume of RUNAWAYS next week!